We took the very confusing District Line (green) to Earl's Court Station and transferred to another District Line heading towards Wimbledon. There are many District Lines heading in multiple directions so make sure that you board the right one. 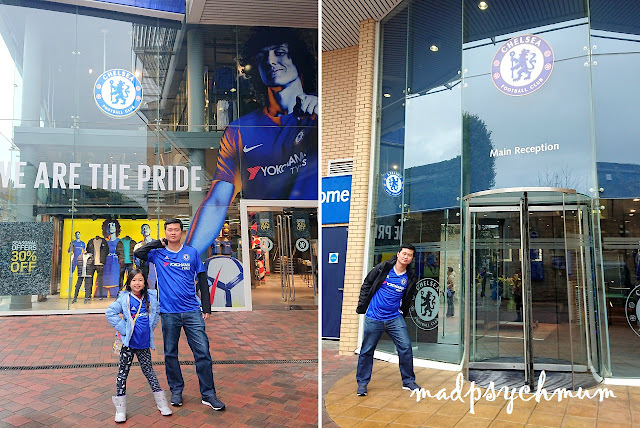 We alighted at Fulham Broadway Station, which was only a 5-minute walk away from Stamford Bridge. Welcome to the Shed Wall, the walk of fame! Next home game is in 2 days! Too bad we couldn't catch it. The hubby was really happy that he managed to fulfill his dream of visiting Stamford Bridge. 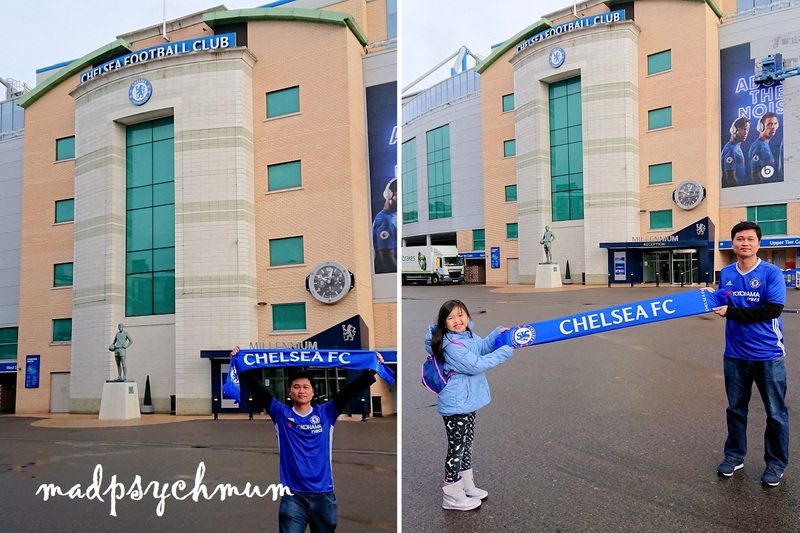 Next time we come back, we'll definitely try to catch a game live! We took the District Line (green) back to Earl's Court Station and transferred to the District Line train headed to Victoria Station. 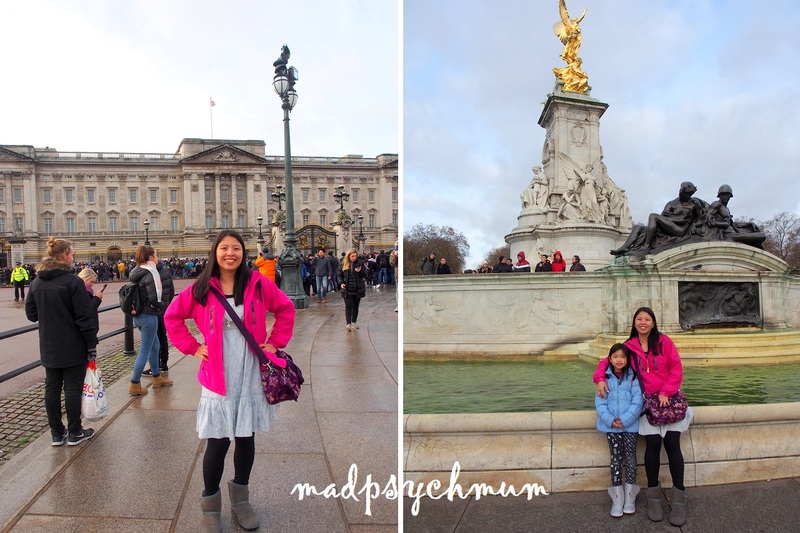 From there, it was just a 5-minute walk to Buckingham Palace. No crowds to block us! We weren't exactly big fans of Prince Harry (if it were the Queen, that's a different story! ), so we continued our walk through Green Park to get to the popular Burger & Lobster in time for our 12 noon reservation. However, as we were still early, we hung out at nearby Caffe Nero to escape the cold. Caffè Nero's hot chocolate was the best and most value for money hot chocolate in UK in my opinion! So good! 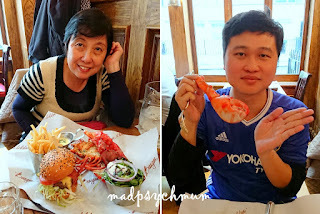 When it was finally time, we headed to Burger & Lobster. The mum and I were so excited that we were finally able to dine in the restaurant as they didn't have a table for us the last time we were here. A very happy family enjoying our burgers and lobsters! The lobsters were soooo good! Juicy and nicely done, yums! After a very satisfying lunch, we continued on our journey to Oxford Street, the famous shopping street in London. We took the Victoria Line (light blue) from Green Park Station and transferred to the Central Line (red) at Oxford Circus Station to Tottenham Court Road Station. 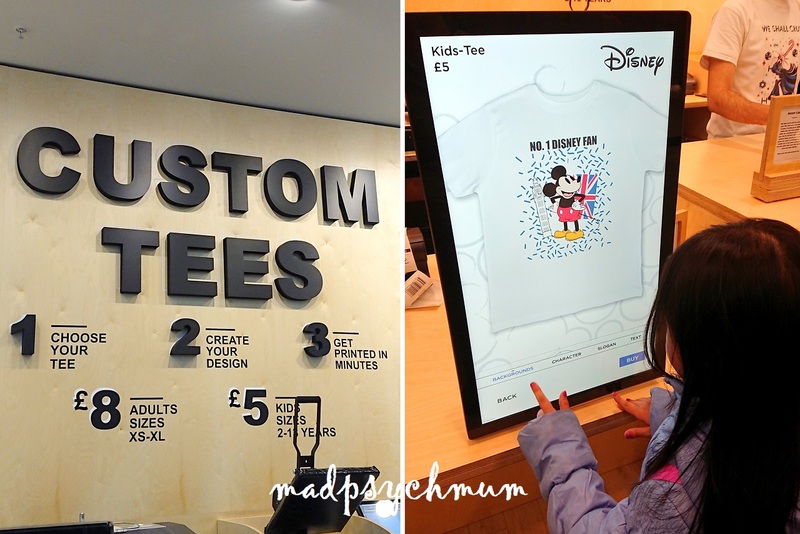 There's a counter where you can design and customise your own tees! The girl got to design hers and loved it! 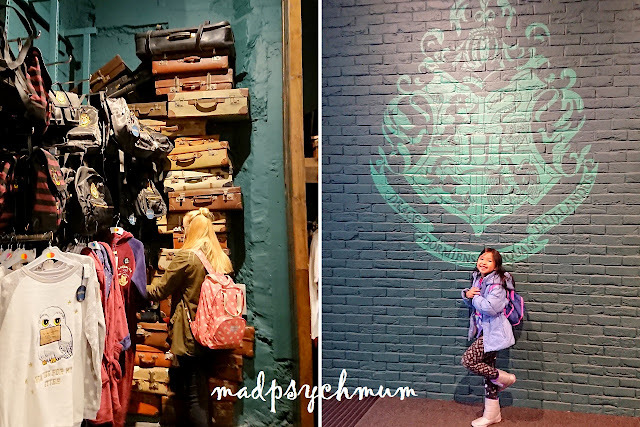 I went crazy at the Harry Potter section!!! After seeing the beautiful Christmas lights at Oxford Street, I can understand why people would grumble that our Orchard Road ones pale in comparison! The ones in London were soooo much better!